Rural West Virginia will be an ideal place from which to observe the largest super-moon of 2019 — the Snow Moon, which on Feb. 19 will bring the moon closer to Earth than it will be all year. If you missed January’s remarkable Wolf Moon (which featured an eclipse that appeared to turn the moon blood red) here’s your chance to see the orb with clarity that only winter in rural, mountainous West Virginia can afford. According to astronomer David Buhrman, winter moons may be observed in greater detail than summer moons because cold weather ensures less humidity is suspended in the atmosphere between the observer and the moon. Also known as the Hunger Moon, the Snow Moon is the third full moon of winter and appeared when provisions were running scarce and when deep snows made hunting difficult. The term “Snow Moon” is generally associated with the Algonquin language, whose speakers lived in northeastern North America and tracked the 29.5-day lunar months, giving each full moon a name. The Cold Moon is the first full moon of winter, also known as the Long Night Moon as it occurs about the time of the winter solstice, the longest night of the year. The Wolf Moon follows and was so-named for wolf packs that howled hungrily as winter approached. 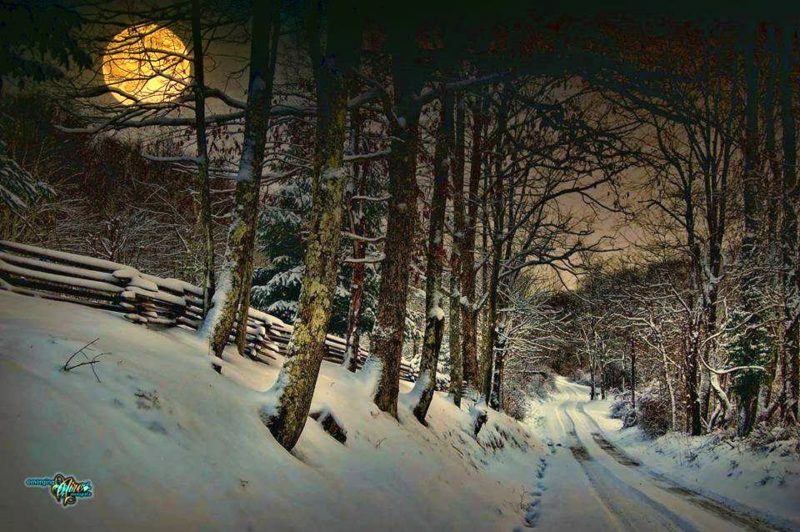 The Snow Moon, also known as the Hunger Moon, is the third moon of winter, and appears when snows are often deepest and hunting most difficult. 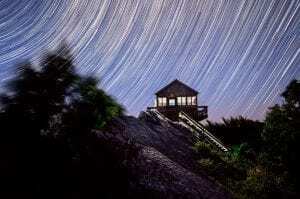 As its night skies are remarkably dark, West Virginia has also become an increasingly popular destination for star-gazers and moon-watchers. Though surrounded by major cities such as Washington, Pittsburgh, Columbus, and Charlotte, its mountains, forests, and relatively lack of bright light sources result in remarkably star-spangled nights rarely seen elsewhere in the eastern U.S.
February’s Supermoon is set to rise to the east around 5:46 p.m., well-before sunset. Are your or your organization planning a Snow Moon event you’d like to share with the public? Please contact us to let us know.